INDIANAPOLIS – The Indiana Pacers announced Monday they have signed point guard Ty Lawson. Per team policy, terms of the contract were not announced. Lawson, 5-11, 195-pounds is in his seventh year in the NBA. He played his first six seasons with Denver before Houston acquired him last summer. He averaged 5.8 points per game and 3.4 assists with the Rockets in 53 games this season before the Rockets waived him last week. For his career, Lawson has averaged 13.3 points and 5.8 assists per game. Lawson, who played collegiately at North Carolina, was a first-round pick (18th overall) in the 2009 NBA Draft. 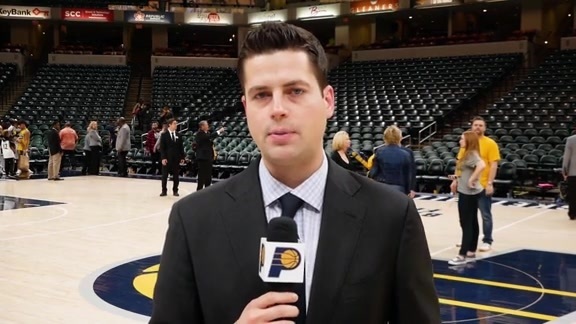 "We're glad to have Ty come play with the Pacers for this final run of the season," said Pacers' President of Basketball Operations Larry Bird. "We think he brings added speed to our backcourt, he can get up and down the floor and he helps strengthen our second unit." "This is a good opportunity for me to come here, try to help the Pacers win and get into the playoffs," said Lawson. "I’m just ready to play and do whatever is needed." Check out these highlights of some of the best plays by new Pacers point guard Ty Lawson over the course of his seven-year NBA career.